Here's what's on our Instagram today. Follow us on Instagram @WKYC3. Christmas is just a few weeks away, so this is the perfect way to get yourself into the holiday spirit. 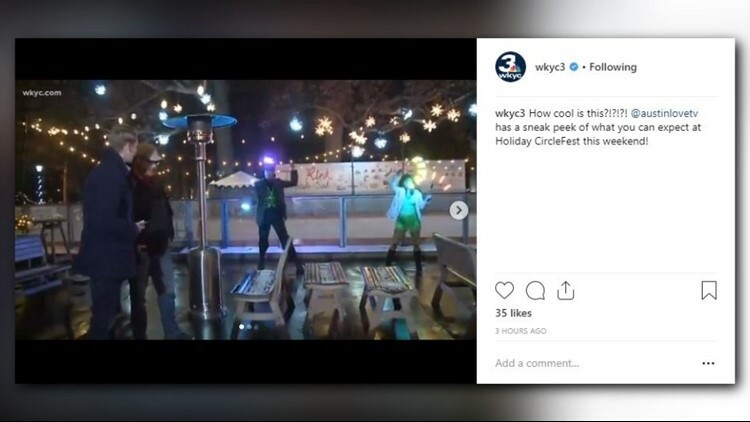 Holiday CircleFest is back at University Circle all weekend long with ice skating, live performers (including fire dancers), photo ops with Santa Claus and so much more. Austin Love got a sneak peek of the event this morning. Learn more here. How cool is this?!?!?! @austinlovetv has a sneak peek of what you can expect at Holiday CircleFest this weekend! It's on to Canton for the state high school fotoball championships and WKYC.com will bring you a special triple-header of the Division I, III, and VI title games, all featuring local teams today. Listen to the games on WKYC.com.